Yesterday we began a brief new sermon series for the advent season. 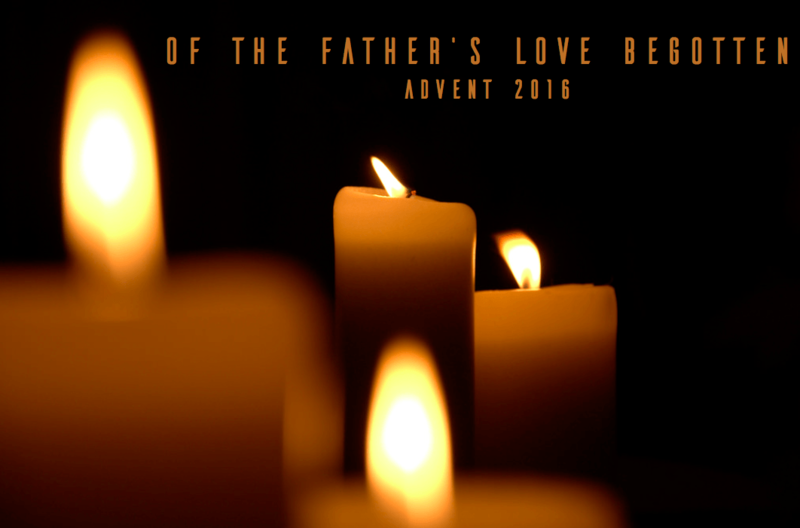 Using the lesser known ancient Christmas hymn, “Of the Father’s Love Begotten, ” we’ll explore the various aspects of Christ’s person and work as we reflect upon the great event of the incarnation in time and space. While it might be rare for an advent sermon to begin at the creation of all things, it’s as good a place to start as any as we reflect upon on the incarnation of the Son. The story of Christmas, after all, doesn’t begin with shepherds in a field or a baby in a manger. It begins with the eternal Son of God, who out of infinite love intervened into our world to reconcile all things to himself. Listen to the sermon here.